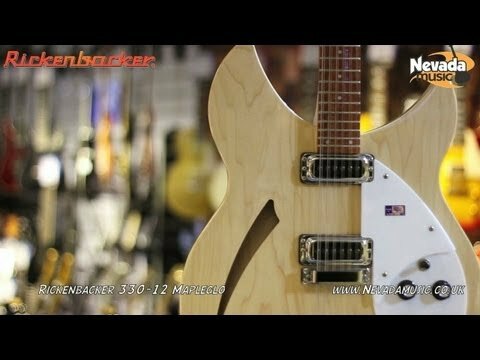 Rickenbacker 330, 12-String Electric Guitar, Black "Jetglo" Finish As part of arguably Rickenbacker's most recognisable model rang.. This particular Rickenbacker 330 is the 12-string model, and features a Maple body and neck, Rosewood fretboard (with dots), and has that recognisable Rickenbacker lacquered opaque finish. All other appointments include the two High Output Rickenbacker single coil pickups, "R" tailpiece, teardrop scratchplate, and that awesome Blend control knob.